This par 3 is another signature hole of Downes Crediton. This is a round-killer for the unwary. 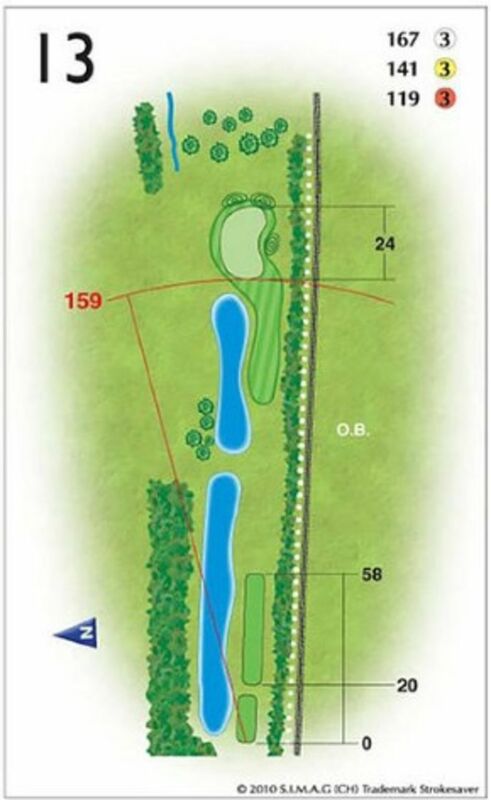 Often playing into a breeze, make sure you take enough club to find the green or you will drop into the pond. Push your shot too much and you’re out of bounds, in the railway lines. Treat this hole with respect.